A 100% organic, biodegradable cleaner used to efficiently clean and eliminate organic materials such as: fats, grease, oil & synthetics, heavy dirt and grime. 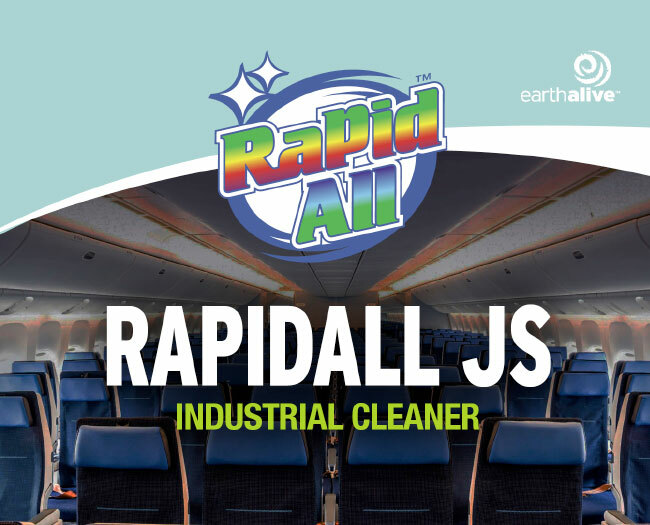 RapidAll JS is the one true all-natural, industrial cleaner that works on all surfaces, indoor and outdoor uses. RapidAll JS may be used on all types of metal surfaces and flooring. Our technology provides customers with a non-Slip (when wet) daily floor cleaner with no rinsing required that will leave a film-free surface. RapidAll JS can be used as degreaser that will clean grout lines and eliminate odors. With many other chemicals hot water is required but RapidAll JS works with regular tap water. For all types of surfaces. Indoor or outdoor. Ready-to-use product, once diluted with water. Environmentally friendly product for a clean, pleasant and healthy planet.